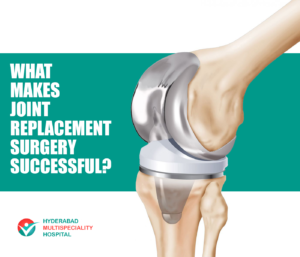 What makes Joint Replacement surgery Successful? In the recent times, a record growth in joint replacement surgeries are seen. And, the growth is said to increase four times by 2030. The reason for this surge is the booming popularity of Surgery. Most of the people are not conscious about the fact file of the joint replacement surgeries. The factors responsible for successful joint replacement surgery are firstly right patient, secondly right surgeon & last but not the least right place or hospital. Not fulfilling any of the above results in failure of the surgery. Most of the joint replacement surgeries are successful i.e. 99% are experiencing instant pain relief. Around 95% of them are satisfied with the process. Coming to the term of longevity, nearly 90% of the implants lasts for more than 15 years & 80% continue in good condition even after a period of 20 years. A simple formula for a successful Joint Replacement surgery, is “RIGHT PATIENT, RIGHT SURGEON & RIGHT HOSPITAL”. Now, let us understand, who can be a right patient and right surgeon and what makes a perfect hospital? In most of the cases, joint replacements function well for several years, however, patients must be aware of the failure symptoms such as decreased function or increased pain, which might need a corrective process called as revision surgery, if required. The main reason for Joint Replacement surgery failure is loosening of the implant. Other causes include, instability, stiffness, swelling, infection and fracture. These conditions occur due to various factors such as an individual’s age, health conditions, injuries, any past surgeries and so on. The choice of prosthesis, the procedure of operating, using advanced techniques, and other factors vary from one surgeon to surgeon and hospital to hospital, and that variation may show a significant impact on the outcomes. Therefore, a right surgeon, a right hospital and a right patient can only make a surgery successful. 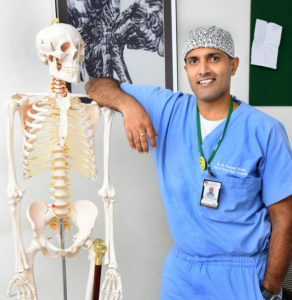 However, Revision joint replacement is quite difficult process as it needs wide pre-operative planning, dedicated implants & tools,extended operating times & mastery of challenging surgical techniques. Who can be right patient? If a patient abides with all the below points, then he or she can be right patient to undergo joint replacement surgery. Difficult in performing day to day movements like walking, taking stairs etc. When anti-inflammatory/pain medications or physical therapy is not much of help or no longer remain effective. Last but not the least, patient willingness and preparedness for the surgery to improve one’s lifestyle. Who can be right surgeon? If a surgeon abides with all the below points, then he or she can be right doctor to perform joint replacement surgery. Enough Experience to select the right prosthesis. Aware and ability to manage complications and adversities of a joint replacement surgery. If a hospital abides with all the below points, then it can be right hospital, where you can perform the surgery. Hospital following precise guidelines of a joint replacement surgery which ensures optimum care to the patient undergoing joint replacement surgery. A dedicated unit for joint replacement surgeries which includes trained assistant surgeons, physiotherapist, nursing staff etc. Adequate number of operating rooms that are used only for joint replacement and orthopedic surgery. Enough nurses to take care of the patient. Hospitals using advanced techniques with good infrastructure.